← They’re Young. We’re Dead. So it’s Cosplay. 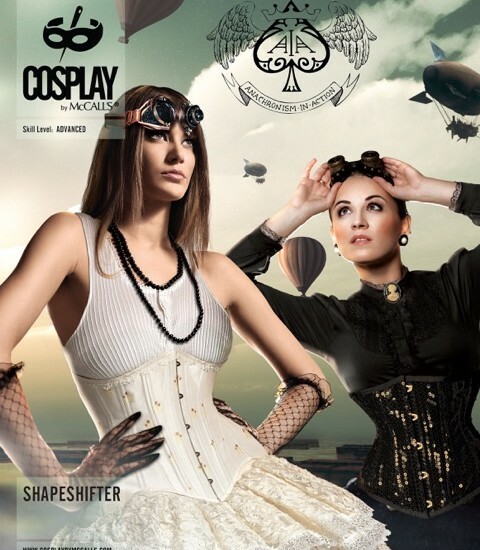 One of the most celebrated corsetieres in the business, Anachronism in Action by Kelly Cercone, has provided the McCalls Cosplay line with 5 wonderful corsets in two pattern envelopes. 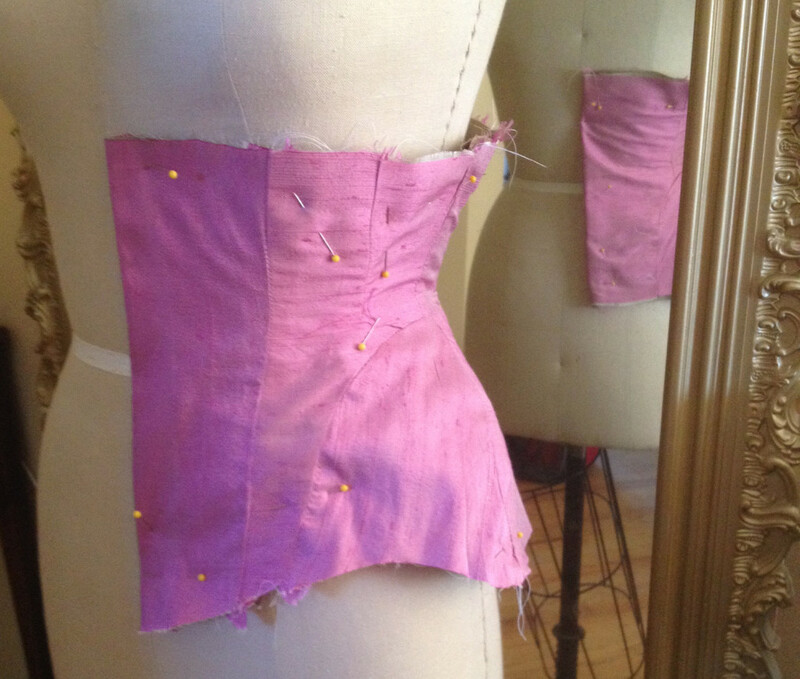 These are simple, easy to master corsets, with fabulous shapes. Yes, please ignore the line drawings on the pattern envelope for anything other than where the seams are placed. They do not do justice to the luscious curves of these corsets. The corsets are swoon-worthy: The line drawings describing them, not so much. Kelly designed both Laced/M2034 and Shapeshifter/2032 with an eye toward highlighting different embellishment techniques ideal for corsets. Laced features three completely different overbust corset constructions, while Shapeshifter offers two distinct underbust corset constructions. They are real clothes—with good fit and construction methods that allow for real, everyday wear on all bodies. The whole size range of these corsets—size 6-14 and 14-22—come in the packet so you can easily combine pattern-company standard sizes to match your own amazing body. These Cosplay by McCalls pattern envelopes are sturdy and oversized to allow for project sketches, clippings, swatches, and easy access and storage of the pattern pieces and instruction sheets. 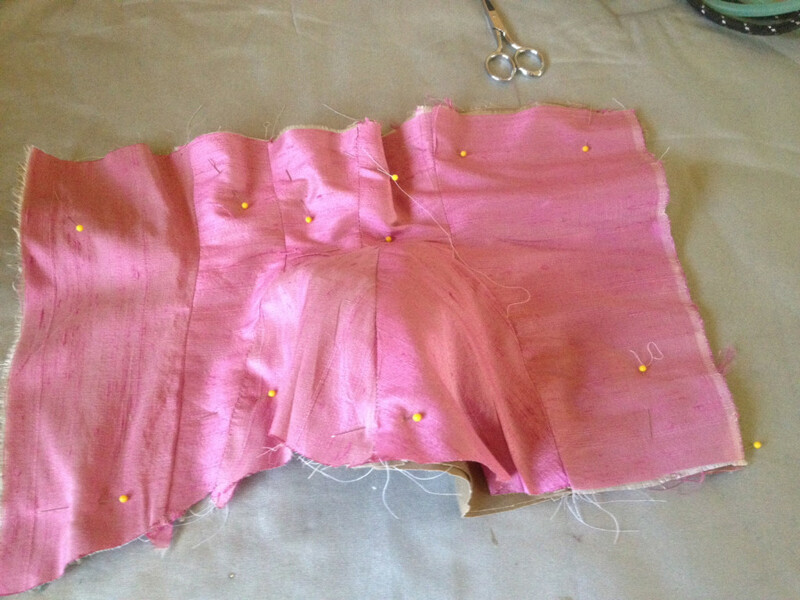 Your bonus tip for the Shapeshifter/M2032, is a tutorial on how to work with sequin fabric. The directions are detailed and spot-on. Dive head-first into a sequin project with no worries, and no fights with your sewing machine. Bliss. Laced/M2034, the overbust corset set, comes with two very important tutorials. Probably the most important tutorial you can ever have regarding sewing of any type is included first: interfacing types and their limitations. Nothing will affect the look of your garments and how they wear more than your choice of interfacing. The interfacing tips learned with these patterns will be invaluable in every single project you tackle. The second tutorial describes the liberating ability to make appliques from lace fabric. Lace is a very forgiving fabric. You can make all sorts of mistakes, and lace will happily help you cover it up. Need a motif to applique? Cut it from a lace fabric that you like. No need to source a set of appliques. Apply it in any shape you need—just keep adding motifs. It’s wonderful stuff. I have to admit, when I first put the underbust B pattern together, I was not happy with the grain line on the back hip piece. I was concerned that since the grain did not match that of the front hip piece in its relationship to the body, that napped or directional patterned fabric would look off on that piece. 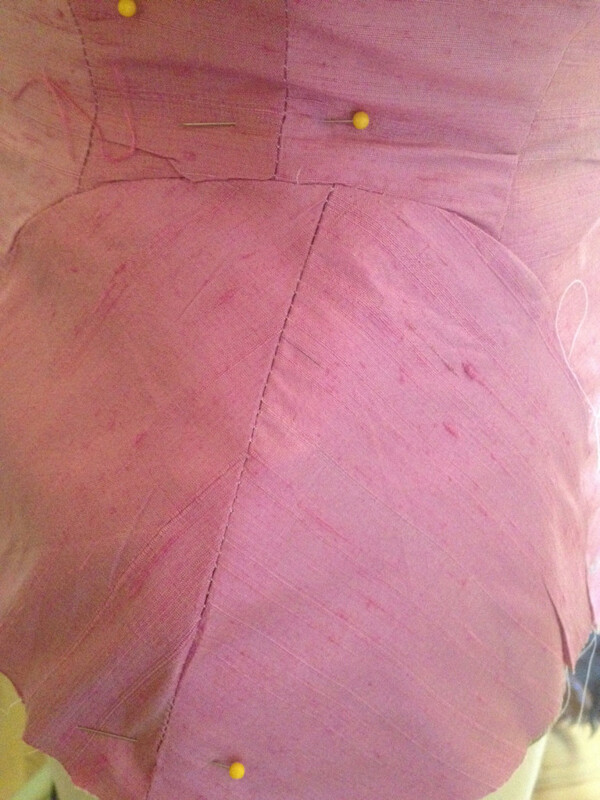 I was also wishing that the side seam aligned with the hip side seam. When I talked to Kelly about this, she had good reasons for both. She wanted to reduce bulk where the two side seams met, so she offset them. Though seams can be clipped and graded, there is a lot going on at that hip line in a corset, and since the goal is a sleek and slim fit, any way you can reduce bulk is a good way. For the grain line on the hip pieces, she wanted to assure that the back hip piece was on the bias to allow for a more snug fit “like the historical corset it was inspired from.” There you have it. Fit was paramount. These are more than costume patterns. Use with confidence. Special bonus tip! While speaking with Kelly Cercone about these patterns she indicated that though originally omitted, waist tape installation is to be included in the construction details of both corsets in the new patterns. This is the key to the corset really making the most of the curves it has created, as well as making it more durable. Great addition!